After the long Thanksgiving weekend that's coming, I know most of us will be diving into our Christmas decorating headfirst. So get ready for a week long Christmas Extravaganza of Fun! Our sweet sister act from At the Picket Fence is once again throwing a great Blogger Block Party, and yours truly is planning some vintage Christmas fun. So make a date to join in on the parties. starting on Monday 12/5 thru Friday 12/10. Check out the party themes and get your Christmas mojo workin'! 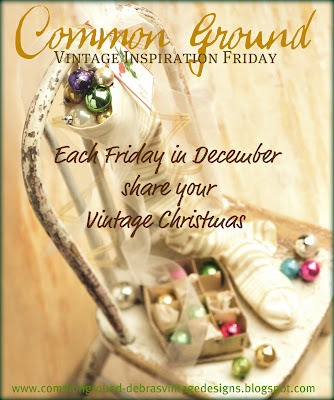 for each Friday in December! Get ready, get set... get started!!! Hi Debra...schrickkk!!! time flies... I nedd to get busy with Christmas blogging!! I will put the buttons on my sidebar, dear Debra. 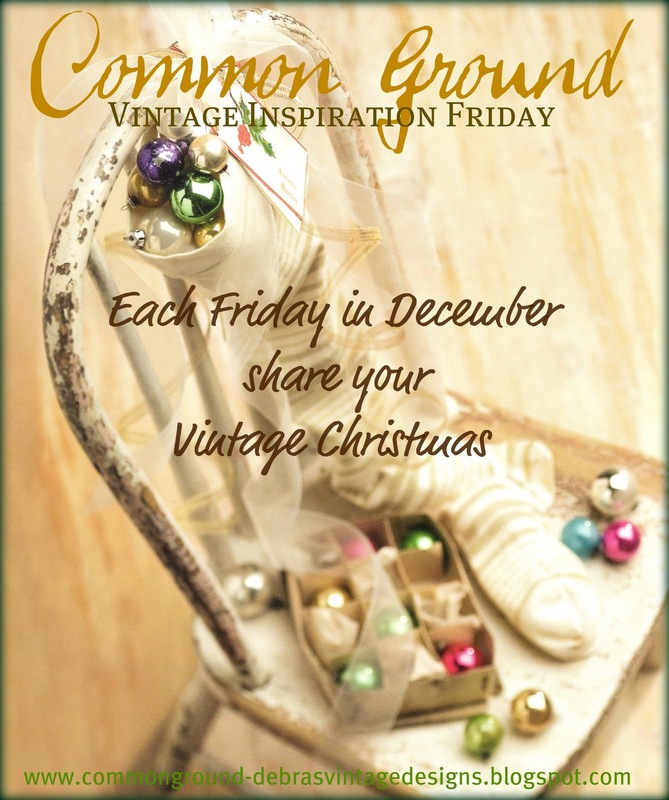 Sounds like fun and inspiration abound! Can't wait to see all the Christmas goodness! Happy Thanksgiving! 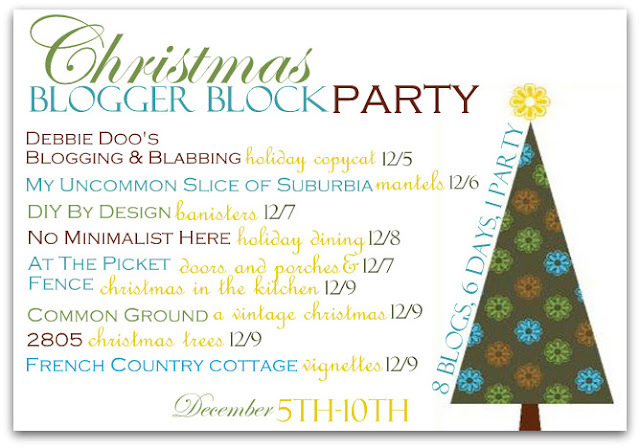 I put up you Christmas Block Party button on my side bar... sounds like fun! Now to get busy with my Christmas post. Fun! I'm putting this on my sidebar to help me remember. Have a blessed Thanksgiving sweet friend if I don't talk with you again before then. I will be sure to link up! Until I get through W&T's open house, I can't even begin to think about my own! I'll be following along for what I know will be great ideas.